Zakhar Prilepin was born in 1975 near Ryazan. After completing his philology studies he worked initially as a packer, a security guard and journalist before becoming joining a specialist military unit. As a captain he took part in anti-terror deployments in Chechnya in 1996 and 1999. In line with Kasparov and Limonov Prilepin is a political activist stemming from the movement THE OTHER RUSSIA, a coalition of Russian political parties, human rights organizations, and pro-democracy activists. 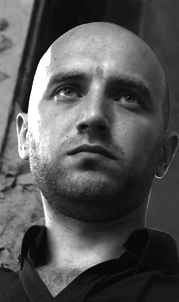 Besides his literary writing Prilepin is writing for major Russian newspapers and journals. Recently Prilepin has become director of the Nizhny Novgorod branch of Novaya Gazeta (the newspaper Anna Politkovskaya was working for). His own website is among the top 10 author's sites of Russia. Prilepin is married and has two sons. He lives in Nizhny Novgorod.